Gourmands and style seekers alike will delight in Addison Restaurant, Fairmont Grand Del Mar resort’s signature eatery. Named for Addison Mizner, the architect whose work inspired the style of the resort, this upscale restaurant has a sophisticated atmosphere with European-style furnishings and grand, arched windows overlooking the golf course. 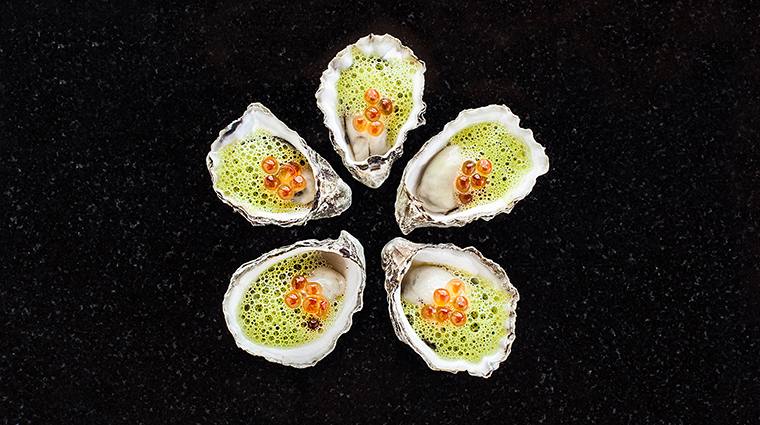 Chef William Bradley takes diners on a culinary adventure here, offering seasonal and ever-changing four-course menus highlighting his contemporary French cooking style. The impressive, exhaustive wine list carries everything from little-known finds to well-known favorites. 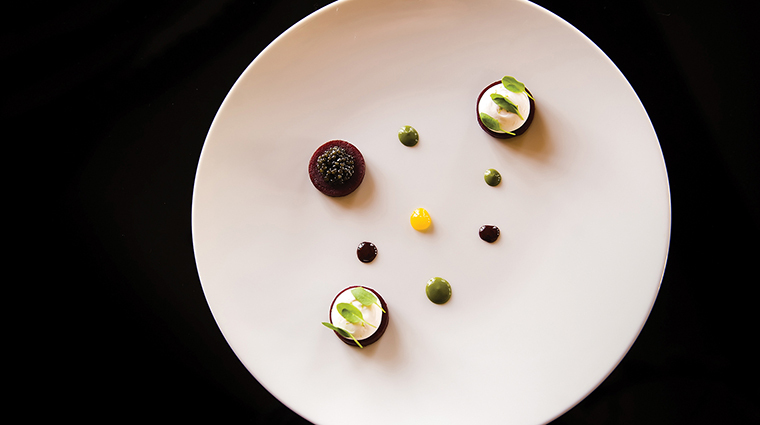 Chef William Bradley has won many accolades for his tasting menus that reflect the best ingredients from a particular season. 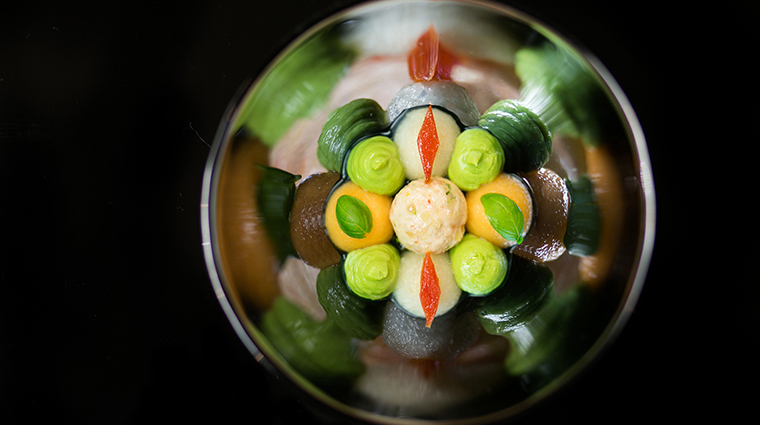 Experience his artistry with tasting menus of three, four, seven or 10 courses. Elizabeth Huettinger — the wine director for Fairmont Grand Del Mar — has amassed a wine collection as impressive as chef William Bradley’s cuisine. The stunning wine cellar in the middle of the restaurant should clue you into how central the wine experience is here. Addison has unbeatable views of Fairmont Grand Del Mar’s Tom Fazio-designed golf course. See if you can land a table near a window so you can look out on to the undulating fairways, waterfalls and creeks. Chef William Bradley will visit your table at Addison during the dining experience, making dining at the Five-Star restaurant even more of a special experience. You’ll find that Bradley’s gracious and humble demeanor belies his exceptional talent as executive chef. 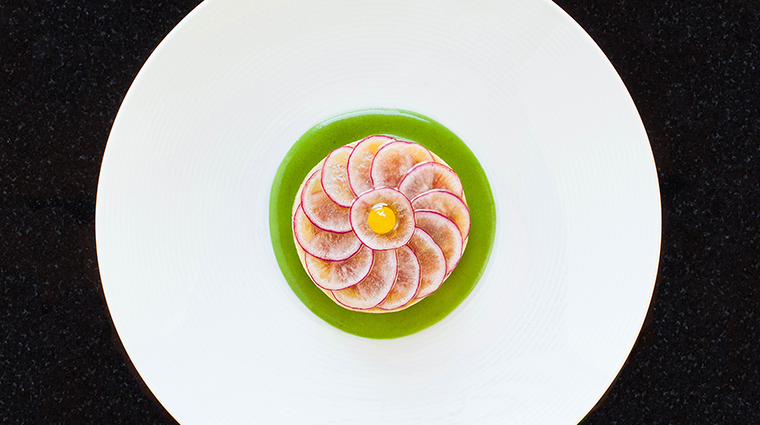 Addison is one of only a two Five-Star restaurants in Southern California so you know you’ll be enjoying the region’s very best food and service. The Five-Star restaurant is named after Addison Mizner, the architect who made the Mediterranean Revival style popular. 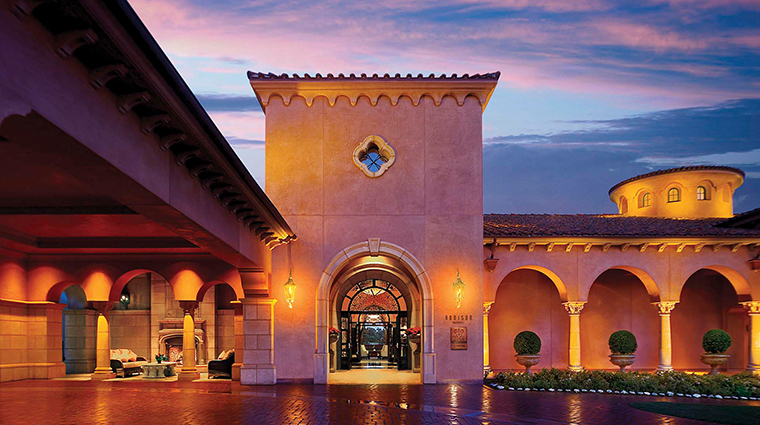 This style was the inspiration for Fairmont Grand Del Mar, the luxurious Old World resort that houses the restaurant. Ask for table 99. Restaurant staff confided that this is the best spot in the house, with views of the entire dining room. No matter where you sit, we recommend having a cocktail on the terrace, which overlooks the unbelievable expanse of green. Yes, it’s a Five-Star restaurant located in the super-luxe Fairmont Grand Del Mar resort, but the dress code is laid back and casual San Diego, so a jacket is preferred — but not required. Still, there are a couple of no-no’s: no jeans and no open-toe shoes for men. Gougères. These warm little savory puffs make a delightful way to begin a meal and give you something delicious to savor with a cocktail. Fraise Petillant Cocktail. The seasonal strawberries, vanilla-infused rum and champagne in the effervescent Fraise Petillant — French for “sparkling strawberry” — will envelop you in a cloud of fragrance. Bradley loves playing with the egg and there’s usually a special egg offering on the menu. This spring, he created a gently cooked, creamy coddled farm egg with delicate flavors of fava beans, gouda cheese and ham hock. The idea of using coffee to roast a duck might sound odd, but the complex flavors in bittersweet coffee add notes of depth to the succulent canard. 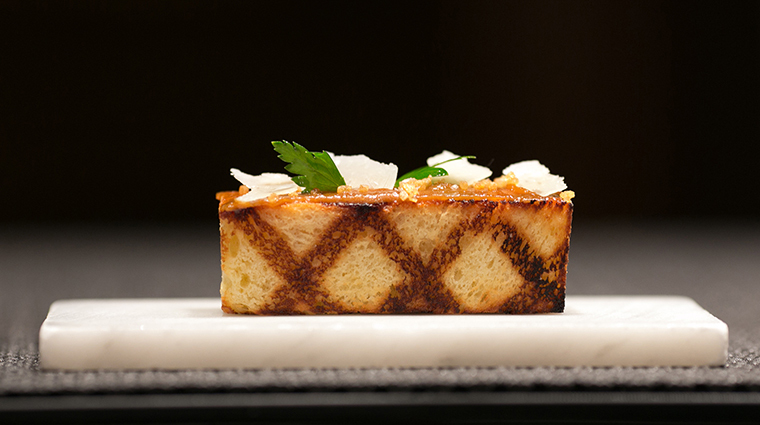 Rare koshihikari rice and candied peanuts offer textural and flavor counterpoints. Rest assured the brownie à la mode isn’t any ordinary brownie. Addison’s pastry chef crafts this delightful dessert from the finest French chocolate and pairs it with tantalizing sour cherry marmalade and crunchy pistachios.